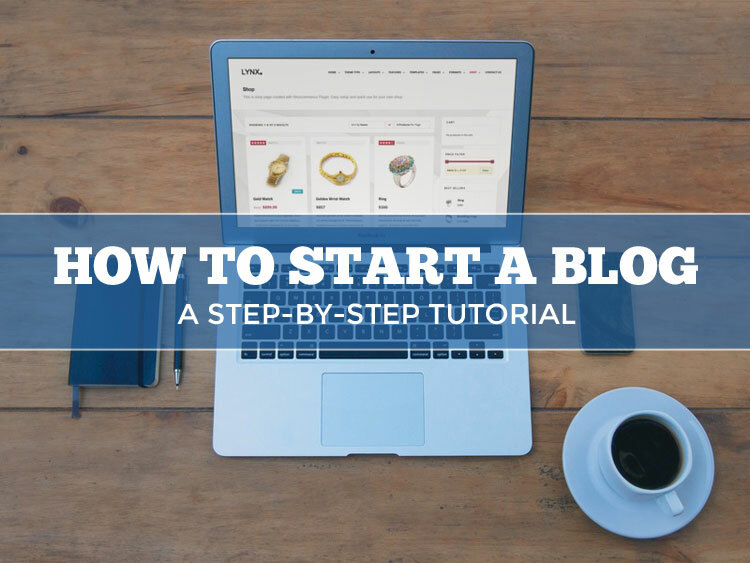 TUTORIAL: How to Start a Blog in 8 Simple Steps! How to Start a Travel Blog in 8 Simple Steps! Interested in learning how to start a travel blog of your own? If so, you’re in the right place. If there’s anyone out there who is experienced enough to teach you how to build a blog from the ground up, it’s me. 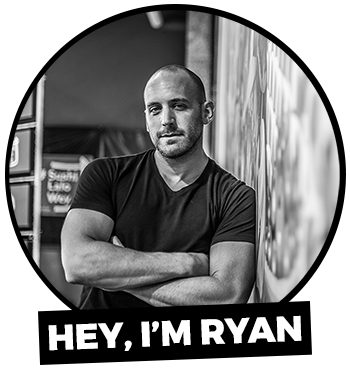 If you don’t know me by now, my name is Ryan Gargiulo and I’ve been blogging for more than six years and counting, four of those as a full-time blogger. As you can probably tell, this blog is a huge part of my life. I have put thousands of hours of blood, sweat, and tears into Pause The Moment over the course of the last six years in order to make it what it is today. This blog is just one of several income streams that I have setup which allow me to live out my personal definition of freedom. I not only get to document my adventures and meet new friends from around the globe, but I actually get paid to do it. What’s even more exciting is that you can, too! But, first you need to hear me out. I’m not here to sell you a dream. I’m here to tell you straight up that blogging isn’t easy. It takes time to build your blog, your following and create a decent income from it. If you’re ready to kick this tutorial into high gear, let’s get started below. Just about everyone and their mother wants to know the secrets behind building a successful blog these days. The truth is, you don’t need to know any special secrets in order to start and run a successful blog, you just need the tools to get you started and the willingness to stick with it. WARNING: It’s going to require a hell of a lot of work and patience along the way. First things first, you’re going to need to be committed to your blog for the long haul. Whatever you do, do not expect overnight success. Most people give up on blogging a couple months after they begin due to lack of creativity, income, and overall drive. If you think you’re ready to embark on this journey, step right up! After reading my step-by-step tutorial below, you’ll be equipped with all of the knowledge and tools necessary to get your blog off the ground. So, you want to be a blogger, huh? There are a few questions you’ll want to ask yourself before you take the leap into world of blogging. Q1. WHY DO YOU WANT TO START A BLOG? The first question you will need to ask yourself is why? You should have a clear and concise answer to this question before moving on to question two. Q2. WHAT WILL YOU BLOG ABOUT? This is the million dollar question. What in the heck will you blog about? If you’re passionate about a subject or two, and you believe that you have something interesting to share, go ahead and move on to question number three. If you’re not sure about what your passions are just yet, I recommend you hold off until you really figure out what it is that you’ll actually enjoy writing about. Q3. DO YOU PLAN ON MAKING MONEY FROM YOUR BLOG? If you’re thinking of starting a blog so that you can make a make crazy amounts of cash in a short amount of time, do yourself a favor and stop reading this now. While making money from your blog is definitely a possibility in the future, it’s hands down one of the worst reasons to start a blog. What is it that you think that world needs to know about you or your interests? Are you someone who loves to travel and wants to share your experiences from the road? You don’t have to travel the world in order to write an interesting travel blog. You could write about your weekend getaways, or your travel to local sights and attractions. Write fun, adventurous, informative, and even personal stories about your travels. If your stories are interesting enough, the readers will come. Does the world care to hear about your daily life, what type of yogurt you ate this morning, or what life is like as a stay at home mom? Yes, as a matter of fact they do. Oddly enough, many people live for this type of content. Go for it! Are you a fitness fanatic who wants to share your health and exercise tips and tricks with the world? Health and fitness is a thriving niche in the blogging world and it’s not going away anytime soon. If anything, health and fitness is only getting more popular by the second. Let’s face it, just about everyone wants to be healthy and fit these days. It’s a matter of getting the motivation to do so. Can you be their motivator and their inspiration? The three topics mentioned above are simply what comes to mind when I think about some of the most popular topics to blog about these days. Truth is, there are trillions of things to blog about but do yourself a favor and choose wisely! One of the hardest parts of starting a blog is finding out which niche suits you best. My advice is to choose a niche that you’re passionate about and when I say passionate, I mean you should eat, sleep, and breathe this topic. I cannot stress enough that you must love the topic you plan on writing about or else you’ll be forcing yourself to write about something you’re only half interested in. That, my friends, is a recipe for disaster! Choosing a name for your new blog might be one of the toughest decisions you face in the process of building your blog. Here are a few things you should think about before jumping the gun on naming your blog. Think long and hard about what it is you’re planning to write about. Jot down some of the topics, research synonyms, and try to piece a few words together to make the perfect domain name. A domain name that is short and sweet (ex. problogger.com) will be a lot easier to remember than a long one with multiple words (ex. ilovereallylongrunsonthebeach.com). Try your best to score yourself a (.com) domain if possible. Choose a domain name that is meaningful to you. Once you find an available domain name, be sure to write it down. Whatever you do, don’t buy it just yet! Why? Well, in the next section, I’m going to show you how you can score a FREE domain name for your new blog! So now that you have a domain name in mind, it’s time to invest in a good hosting plan. I recommend purchasing your hosting plan through Bluehost. You Get A Free Domain – Why pay $9.99 or more for a domain name when you can get one for free with the purchase of a new hosting account at Bluehost? You Get Unlimited Domain Hosting – One of the benefits of purchasing a hosting account through bluehost is that you can always add on additional domains to your account at no cost. Want to start a new site or three? No problem, just add the domains to your hosting account and you’re ready to roll. You Get Unlimited Hosting Space – How can you resist unlimited hosting space? With Bluehost, you’ll never need to upgrade due to lack of space on your hosting plan. You Get Unlimited Email Accounts – Every blog/website/business needs an email address (ex. Ryan@yoursite.com). 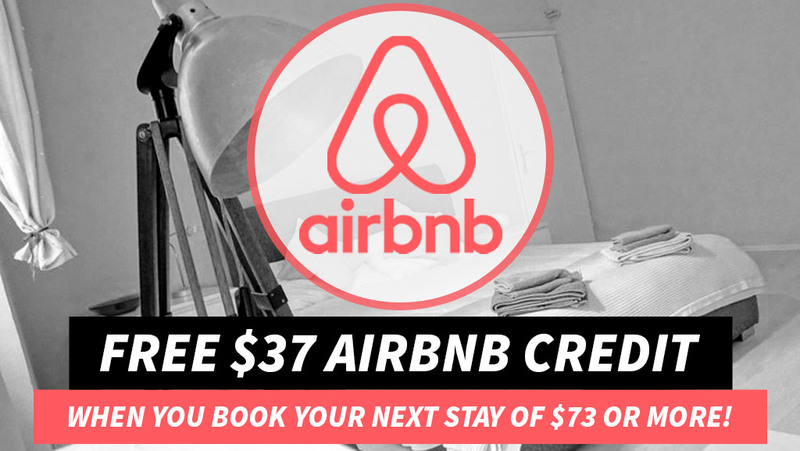 Feel free to setup as many as you want at no extra charge. and… You Get Unlimited 24/7 Phone, Chat & Email Support – Is your site down? No worries. Simply give these guys a call and you’ll be back up running on no time. The customer support is top notch and their support team is ready to help 24/7/365. So, you’ve purchased your Domain and Hosting Account through Bluehost. Perfect! Now, let’s get the WordPress platform installed on your hosting account. Click here to view the step-by-step instructions on how to Install WordPress via Bluehost Once you’ve installed WordPress on your account, move on to the next step below. You could choose a free theme from WordPress repository, but who wants to use a generic theme that comes with minimal features and little to no customer support? Like hosting, when it comes to themes, many people try to go the free route in order to minimize startup costs. Trust me when I say that investing in your blog is worth every damn penny. In my opinion, choosing an eye-catching theme with a built in framework that you can customize and make your own is one of the best things you can do straight from the get go. Having the ability to set yourself apart from the rest of the pack will prove to be a huge advantage in your favor when it comes to building your online presence as well as getting yourself and your hard work noticed. Below, you’ll find links to themes and frameworks that I highly recommend and can personally vouch for. Elegant Themes is one of the best values when it comes to premium WordPress themes. I mean, where else can you get access to 87+ premium WordPress themes for $69? ET creates high quality themes that are constantly being updated and supported. I should note that one of the best things about Elegant Themes is their customer support team. If you’ve got a question about your theme, all you have to do is post your question on the support forum and before you know it you’ll have the answer you were looking for. If you want to start your blog off on the right foot and want a variety of themes to choose from, do yourself a favor and make the small investment towards an annual membership with ET. I had been looking high and low for a theme that met all my wants and needs. Honestly, months had passed since I decided that PTM was in desperate need for a change. Unlike all of my previous layouts, I was on the hunt for something that would lead me into the future. One night I randomly stumbled upon WP-Prosperity and it was pretty much love at first sight. That’s some pretty powerful stuff considering I don’t even believe in love at first sight. If you dig my current site layout (you know you do), I advise you to take a closer look at the WP-Prosperity theme by Michael Pollock. This theme is without a doubt the best theme I’ve ever worked with. Add in the fact that Michael himself provides all the support you could ever need via the theme’s private forum as well as directly through email and you’ve got yourself one of the best themes out there. Note: As if this deal wasn’t already awesome, your purchase of the WP-Prosperity theme includes an unlimited use license for personal or commercial use on an unlimited number of sites and domains, lifetime theme updates & access to the support forum. Need I say more? The StudioPress and the Genesis Framework is well known in the WordPress world. It’s safe to say that it’s likely to be the most popular framework on the planet at this point. If you’ve done any research prior to arriving here, you’ve probably noticed that web developers from around the world swear by it. StudioPress themes are known to be some of the best, most secure, and cleanest coded themes on the web. While the combination of the Genesis Framework and StudioPress can seem slightly pricey at first, just know that there’s a whole lot of added value involved in the deal. First of all, I should note that purchasing the Genesis framework and the theme of your choice isn’t based on an annual membership fee. This is a one-time fee which gives you access to unlimited updates for life, in-depth tutorials, support forums, and more. Pretty amazing deal, if you ask me. One of the best deals going is the Pro Plus All Theme Package ($399.95 one-time fee) which includes the Genesis framework along with every theme available plus any theme that gets released in the future. Sure, the price tag might turn you off a bit at first but if you breakdown the actual value of this package, it’s truly out of this world. I will definitely be picking up the Pro Plus All Theme Package in the near future. Even if I don’t use it here on PTM, it’s such an incredble resource to have at your fingertips when you’ve got a growing list of clients who are interested in redesigning their sites. Themeforest has the largest selection of premium WordPress themes on the web. I recommend buying a theme through them, but you really need to do your research and be sure that the theme author is not only a well reviewed author but also someone who continues to update and support their themes. If not, you could potentially be purchasing a theme that is no longer supported a year from now. Note: If you’re a WordPress newbie, I wouldn’t recommend that you purchase a theme through Themeforest. You really need to know what you’re getting into when you purchase one of their themes and to be honest, I’d rather see you spend your money on a theme that’s going to give you the best bang for your buck. There are two ways to install a WordPress Theme. Hover over the Appearance tab on the left hand side of your WordPress dashboard and click on Themes. Search for the WordPress theme that you want to install. Click Install, and then click Activate to activate your new theme. Download your WordPress theme package. Hover over the Appearance tab on the left hand side of your WordPress dashboard and click Themes. Browse to find your WordPress theme package on your computer (ex. yourtheme.zip) and hit Upload. Once your theme is uploaded, hit Activate! Adding a few WordPress plugins to your blog can really bring it to life and adding too many can slow your site down. That said, be sure to choose your plugins carefully. Here’s a short list of some of my favorite plugins. As you’ll notice below, some are mandatory (IMO) while others are optional. This plugin automatically sends an email notification to a reader when their comment has a new reply. The comment reply notification plugin encourages readers to return to your blog and helps build the overall engagement and social interaction. To put it simply, Contact Form 7 is your best bet when it comes to adding a contact form to your website. It’s simple and easy to use but also has the ability to create more advanced forms when necessary. The Easy Fancybox plugin makes it so when a reader clicks on a photo on your site it pops up in a flexible, lightweight window. The combination of the enlarged photo and the dimmed background really makes your photos pop. This plugin will make viewing media on your site a heck of a lot more pleasant than WordPress will by default. Optin Forms is an awesome little plugin that has a few pre-made newsletter signup widgets which you can easily integrate into your website with just a few clicks. I use this plugin to integrate the newsletter signup box at the bottom of every blog post here on PTM. If you’re not already using Google Analyticator, do yourself a favor and check out the free version of Statcounter. I, personally use both Google Analytics and Statcounter to keep track of my site analytics. Forget about the old days when you had to code HTML tables from scratch. This plugin is excellent if you’re looking to create really clean and organized HTML tables with ease. The best example of TablePress in action can be seen over on my Travel Packing List page. Beautiful, right? Pretty Link Lite allows you to create custom cloaked links. An example would be if you wanted to share a link to a product on Amazon (ex. an XShot camera extender) and the url was something like (http://www.amazon.com/glskxowsh2%2l/flswo40238f82df=aff9238f/) but instead you wanted to create a cleaner looking link like (www.pausethemoment.com/go/x-shot/). I cannot even begin to tell you how many times I’ve been asked which plugin I’m using when it comes to my Travel Photos page. If you’re looking for a great way to display your travel photos for free, this is the plugin for you. So, you’ve got your brand spankin’ new site up and running but it looks so bland! You’re going to need a nice logo if you want to start off on the right foot. In case you haven’t heard of 99designs.com yet, these guys are the largest graphic design marketplace in the world. They offer two options for those of you looking for a professional logo. You can choose a logo from they’re Readymade logo store, or you can take it to the next level and get a graphic designer to create a unique, original and custom logo for your blog or business. The choice is yours. Take a look at your options and see which services fit your needs best. Okay, so you’ve got your site up and running but what’s a blog without traffic? If you want your articles to be found in Google, you’ve got to know how to properly format your content. More importantly, if you want to rank in Google, you really need to know your stuff when it comes to keyword research. For starters, you could try using Google Keyword Planner but that’s not going to be able to tell you much other than how many times a specific keyword is searched each month. It won’t tell you what the keyword competition is (KC), what the competitors page authority, domain authority, juice page links, moz rank, page rank or site age is. All of these things come into play when doing keyword research and when they’re all put together, they can tell you whether it’s worth targeting a specific keyword or not. In order to make a long story short, if you’re looking to really learn more about keyword research, you’re going to need a tool that’s a hell of a lot more powerful than the Google Keyword Planner. Anytime I prepare to write a new information based blog or article, I always open up LTP Platinum to do some much needed keyword research. Why? Well, I need to find out which keywords I need to focus on and what their competitiveness is prior to writing the content. Doing so allows me to create content around these keywords and when done correctly, I rank higher for my specified keywords on Google. As you all may or may not know, ranking higher in Google means more traffic is sent to your blog and more traffic equals more money making opportunities. I could go on for days about this piece of software, but I’ll let the software speak for itself. One of my biggest mistakes I’ve made when it comes to blogging was to not build and maintain a solid email list. A few years ago I started a list with MailChimp but ended up letting it sit and never really maintained it. Huge FAIL. Finally, after years of putting it off, I finally got around to starting up a new mailing list with a company called MadMimi. They might not be the most popular name in the game but they sure do offer some enticing deals and awesome support. Do yourself a favor and start building your email list the minute your blog goes live and you’ll be golden in the long run. At least that’s what the email marketing experts say. Note: I’m currently starting out on a free account with Mad Mimi and will upgrade once I start to build a decent sized list. Aweber is the most popular email marketing company by far. The problem I find with them is that their rates can be pretty intimidating for newbies who are just starting their first blog and wondering if it’s worth spending an extra $20/month for a mailing list right off the bat. That being said, some of the biggest Internet marketers and bloggers out there swear by Aweber so the decision is on you. Do you start with a free account over at MadMimi and then upgrade to a paid account when necessary or do you invest from day one with Aweber? Decisions, decisions. Travel Blog Success is an incredible resource for bloggers no matter if you’re brand new to blogging or you’ve got some experience and you’re looking to take your travel blog to the next level. This online course and community of over 900+ members will teach you everything from how to create content, to the best practices for growing your social media following, SEO and traffic strategies, how to monetize your blog and so much more. Create your own personal world travel map and show off where you’ve been. After you create your map, you can embed it directly into your blog or share it with your family and friends on Facebook. If you’d like to get an idea of what your map could look like, you can check out mine here. Congrats on making it this far! At this point you could be feeling one of three ways. 1. You’re overwhelmed by this tutorial and you don’t have the confidence to purchase and setup your blog. If you’re feeling a little lost, feel free to contact me and I will help you get your blog up and running. 2. You have successfully setup your new blog but there’s still a few minor adjustments you’d like to make. Please reach out to me if you think you might need a hand. 3. 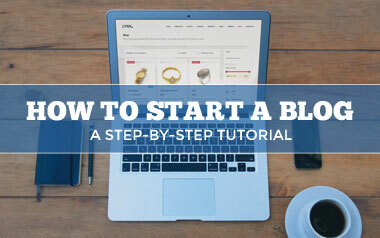 You followed this tutorial and successfully setup your new blog. Congrats! If you’ve got your new blog up and running but you need some assistance with installing plugins, making changes to your WordPress theme, or just wanting to learn the in’s and outs of WordPress, feel free to contact me. Disclosure: Some of the links in this post are “affiliate links.” This means if you click on the link and purchase the item, I will receive an affiliate commission. The commission does not affect the price of the product or service. Thank you for your support! If you found this tutorial to be helpful and you’re feeling generous, please be sure to share this tutorial using the social media buttons found below. What a very thorough guide Ryan! Useful information for those who are new to blogging. The importance of a good clean template design should not be underestimated. Easy process for sure and there’s no reason time, tech know-how or money should stop you from trying it out in case you have the urge to do so! We need more people to experience the benefits of blogging! Thanks for the comment Marko! Ryan, like always another great post. This makes it super easy for anyone to get started. Really wish this was around when we first started. We had lots of headaches and problems when we first started and this would have helped us out a lot. Will make sure to pass this along!!! Thanks guys! Glad to hear you thought of it as being helpful/useful. I appreciate the feedback. This is incredible! I just passed it along to a friend who has been wanting to start blogging for a while. This described everything better than I ever could. Well done! useful tips, very helpful! Thank you so much for sharing! Really liked the plugins section I have yet to get my blog all set up correctly but will look into those ones. That’s an awesome post, I wish I’ve read that a half year ago. Starting a blog was the best idea I’ve ever had, but… I’ve never worked so hard in my live, the work is never done. It doesn’t matter because I finally do something that I love and I don’t care to work on a Sunday. I just love the idea of working for myself. Thanks for this useful post! Will totally share that! What program do you use to make your pictures and workouts pics for example? Hi Myriam, I use Photoshop to design most of my graphics. Do you need a hosting plan??? How would this compare to only have a wordpress site? Hi Belinda, great question! I just sent you an email in regards to your question. Hope this helps! I would be curious to know the answer to Belinda’s questions as well.. Yes, it’s a must if you want to be taken seriously. If you want to blog for a hobby and you don’t care about how many people follow along, then go with a free host. Really depends on what your mission is. Thanks for this post. I recently started my own blog. This very helpful. Glad to hear it Karel! Good luck in your blogging adventures. Hi Ryan, what a fantastic blog post. Perfect guide to the newbies amongst us. I must ask how do you find your mail set up? I see you used to use Mail Chimp? Why the change? Hey, Tez. Thanks for the feedback. I just made the switch over to Mad Mimi and I’m liking what they have to offer so far. The dashboard/UX is really user friendly and the ability to open a free account (at least, initially) is convenient. As for MailChimp, it’s not a bad service, I just wanted to make the switch to a email marketing company that would offer me better prices as my subscriber list grows and Mad Mimi seems to have everything I’m looking for at the moment. Thanks Ryan.I do my best to improve my blog and you helped a lot.By the way you look like Bradly Cooper a lil bit. Thanks for the useful post! I have my own blog already, but you give some really good tips for a newbie like me. Only I hope I would of found this article earlier! No problem. Glad to hear you’ve found it helpful. Happy blogging! Great post! However I think most people need to not be scared to set up a blog from day 1, you learn a lot while you’re doing it, as opposed to reading a lot of information before starting. I am planning to start a blog, and I have 0 experience so far. I’ve been researching a lot and I found your tips really helpful and encouraging! Ryan this is awesome. I have been blogging for a few months now and am realizing there is always more to learn. I keep coming back to this article to find out more! It’s really helpful thanks a lot! It definitely takes a load of time and hard work, let alone PASSION for sharing what you’ve got to say! Thanks for the tips Ryan! We’re always keeping tabs on your blog and YouTube! 100% guys! Thanks for stopping by. I absolutely loved this guide, Ryan!!! Thank you so much for taking the time to write it for us. I started on blogger (still am on blogger) and have been researching non-stop to figure out the best way to start off fresh as a more professional blogger. This definitely answers many many manyyy questions! I will keep you updated on my progress :) Thank you so much!!! Thanks a lot Ava. Glad to hear that you found it helpful. Looking forward to hearing from you in the near future. Hey Ryan. Do you think it’s important as a travel blogger to have the same social media names(twitter, Instagram etc) as your domain name? I have a domain name for my travel blog, YouTube account & Facebook, but the Twitter & instagram weren’t available, so I just use my name for those. Hey Regan. I do think it’s somewhat important but at the end of the day it isn’t the end of the world if you don’t have exact matches for your social media handles. I would recommend that if you do choose to go with something other than your domain name that you keep the new handles universal across all platforms. Example: If “VagabondMan” is taken, I would try to see if Vagabond_Man is available on Twitter, IG, FB, etc before moving forward. The best way to research whether you’ve found yourself a good alternative social media handle is to use a site like NameChk (https://namechk.com/) Hope this helps! Hi Ryan, thanks for the tips. After reading a few books and a ton of research I finally got my blog started a few weeks ago but it was great to see an article like this in a great blog that wasn’t just about tech. I’ve learnt a lot from your blog about finding my niche and improving the quality of things, looking forward to an increasing learning curve as I teach an old dog new tricks. Thanks for the thoughtful comment, John. It’s nice to hear that you found this post helpful. Is there anything else I can help you with when it comes to improving your travel blog? Let me know and I’ll be sure to reply back to you as soon as I can. Useful post. Everybody should get lessons from such articles. I will try to learn something for my blog as well. OMG, Ryan. I’ve been looking for an article like this my whole (short) blogger life! I am currently in the phase titled “this is too hard, why did I even start this thing?” but I am trying to be strong and carry on. Having a food blog is pretty hard fi you have no blogging experience (like myself). Your tips are just what any fresh new blogger needs, congrats on your deserved success!